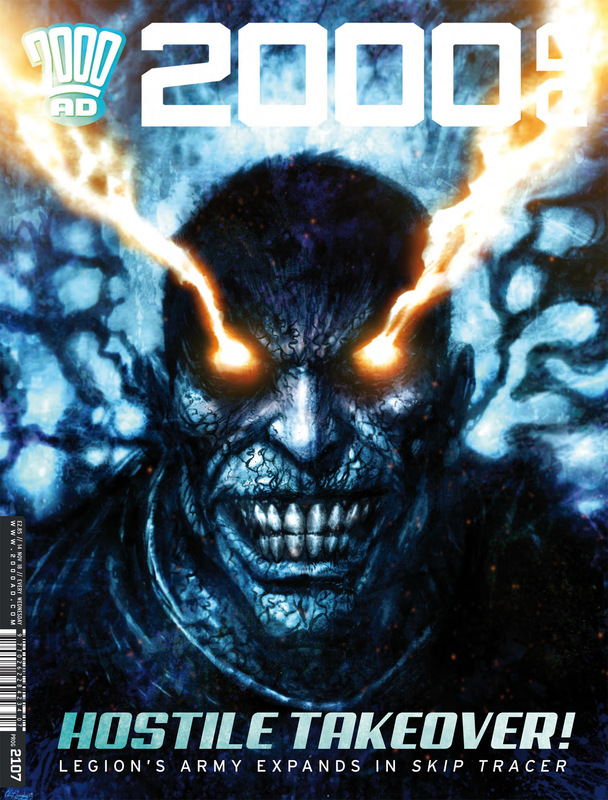 Out this week – Prog 2107 of 2000 AD – available digitally and in print from Rebellion, here are some of my thoughts on this latest edition! We get some flashbacks in this issue – not the Judges finest hour! It does give us a bit of insite into Frank, and what we are dealing with here. I think Dredd realises too – this is another hitting issue and the fallout is going to be massive! Skip’s battle against Legion starts here, we see how powerful the entity is, and what it can do. Skip seems to have a plan though, but I can’t see where it is going. There is some excellent scenes here though and I love the tendrils of Legion. Bridget has a day off, and she’s got to report in. There is a nice sequence of her losing her tail, but has she been sussed out? The reporting in was nice and I like the way it was all set up. This was a strong, stretched issue, with some nice additions. I like the way this played out to the end! THARG’S 3RILLERS: INFESTINAUTS ARE GO! The Infestinauts are fighting back. They need to get back to base to report in. It seems there may be a more aggressive problem though – there is a lesson in this issue. Use as directed! I love the theme of this 3riller! Gene is in trouble, but just as he seems to to have got out of this problem, the battle begins. This had a fair amount of action, but the ending signifies how little time there is. There are some excellent reactions in this issue!